To discuss, or to order any of the various styles, materials & designs of urns or casks that may be used at the Natural Burial Ground please telephone us on 01993-878387. 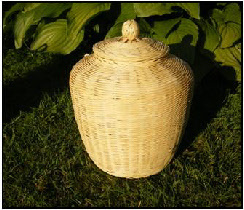 The Acorn Urn (picture left) is manufactured using papier mache on the same principle as the Ecopod coffin. 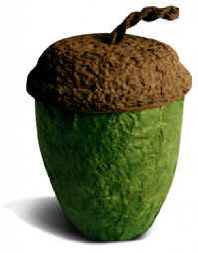 Produced to regulation size - 10" high x 8" wide - the unusual and symbolic Acorn Urn is overlaid in moss green, hand made paper. 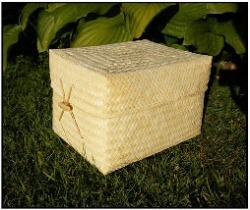 The urns on this page are intended to contain ashes after cremation. Please note that urns & caskets must comply with the ANBG Code of Practice.